ArrestaPest (Gidding) Limited is a small family company which previously traded as ArrestaPest (a partnership). Founded by Chris and later jointly run with Ian the business has been trading since Febuary 1988. Both Ian and Alex are fully trained and certified through the British Pest Control Association (BPCA) in all aspects of pest control, including, fumigation. We are proud to offer a friendly and personal service to all of our clients whether householders or buisnesses. We service the following areas: Cambridgeshire, Northamptonshire, South Lincolnshire, Rutland, Bedfordshire, Peterborough and Huntingdon areas including Corby, Oundle, Kimbolton, Ramsey, St. Ives, St. Neots, Sawtry, Stamford, Thrapston, The Giddings, Whittlesey and Wellingborough. 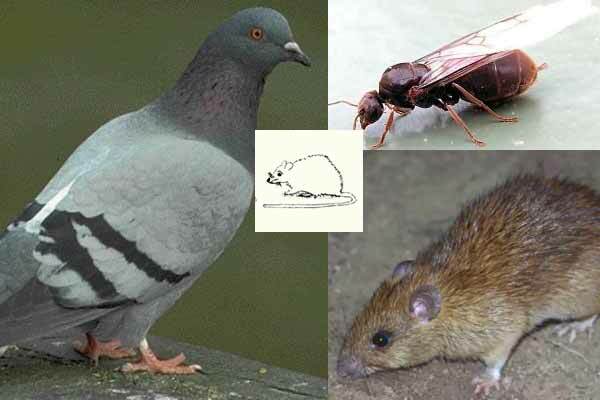 We offer treatments for all pest species (mammals, insects, birds), including sales and service of UV Fly Machines (EFK) and we specialise in all aspects of grain care.